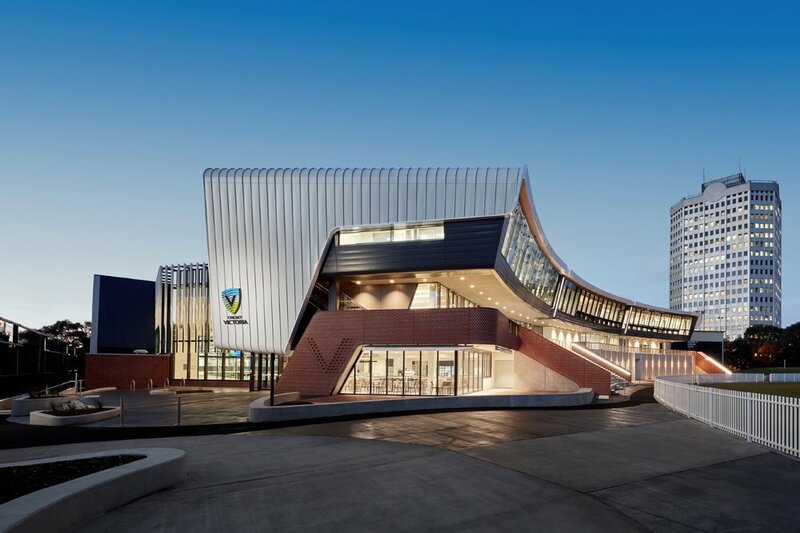 After a landmark re-development completed in 2018, Junction Oval is now a state of the art facility for Cricket in Victoria and home to the administrative base for Cricket Victoria, the CitiPower 10 lane indoor cricket facility, refurbished historic Blackie-Ironmonger stand, two outdoor practice wicket facilities, medical and rehabilitation facilities (including gym and indoor aquatic centre) and 350 capacity function and event spaces. A project by COX Architecture, Arup Engineering, Cockram Construction and NUVO Electrical, Lights & Tracks were thrilled to work on such an iconic project in Victoria. With the façade lighting being the hero of the new complex in the dusk and evenings, it was important that the main building, grounds and historic Blackie-Ironmonger stand were highlighted to accentuate these important elements of this state of the art development. Working alongside Cox and Unios, we developed a minimalistic street light that would be surface and pole mounted to the exterior wicket, eastern berm, public entry and carpark. With time constraints and a grand opening date nearing, the bespoke fitting was approved and installed within a matter of months throughout the complex with huge success. Lights & Tracks consulted and supplied the lighting to the Junction Oval grounds, heritage stand, reception and lobby, public car park, street lighting, café/dining, gymnasium and product and memorabilia display. Being situated in an area with a lot of residential overlooking it was key that the balance of light and dark was executed to plan and has prompted letters of thanks from local residents and words of encouragement and gratitude from staff and visitors new and old. To deliver the lighting package on time and within budget, for one of Australia’s most iconic sporting grounds was a fantastic opportunity.